Burma is a beautiful country of jungles, mountains and fertile plains, with graceful pagodas dotted across the diverse landscapes. Cycling is the perfect way to discover the friendly culture of this land almost untouched by tourism. 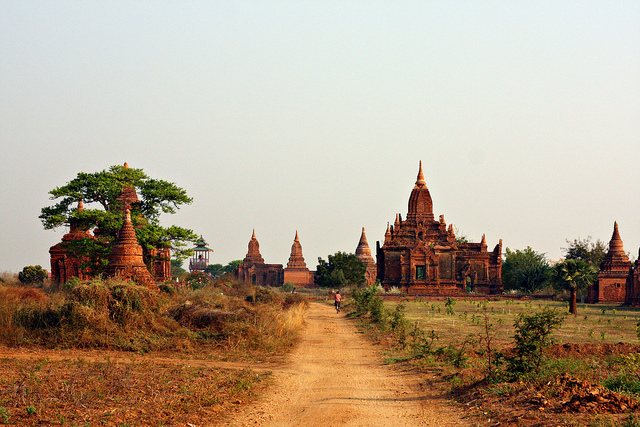 From Mandalay we head for Bagan’s ancient temples, before heading east through hot dry lowlands, passing small villages, teak plantations and rice paddies before tackling the long winding road up into cooler jungle-clad hills. A great descent brings us to the shores of Lake Inle, where we have time to relax and see the local way of life. We will provide you with all the support you need throughout your training, from tips on training plans to ingenious ways to extract donations from your friends and family. By taking part in this challenge for Labour Behind the Label you are raising our profile in the UK as well as helping to raise the money we need to continue our charitable work. Thank you for supporting us, your efforts will make a real difference. To make fundraising for us even easier, we have partnered with Everyday Hero to give you the ability to create your own online fundraising page. In just minutes you can build and customise your page, then start sharing the link with your friends, family and colleagues. Once you have secured your place, create your fundraising page here. Contact caroline@labourbehindthelabel.org if you have any questions or just want to share how your training is going, we would love to hear from you.